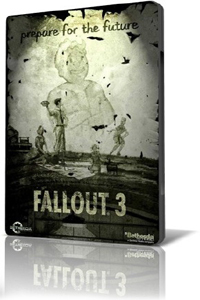 Home » Posts Tagged "fallout 3"
Fallout 3 is a great game with superb game play that equals up for a good long journey into fun. I have heard Fallout 3 is Oblivion with guns well I never played Oblivion, but if that’s the case it must be good. Fallout 3 continues on about the life in vault dwellers that emerge to try and save the ravaged waste land.